Beautiful inside and out! From curb appeal to interior design this house has it all. 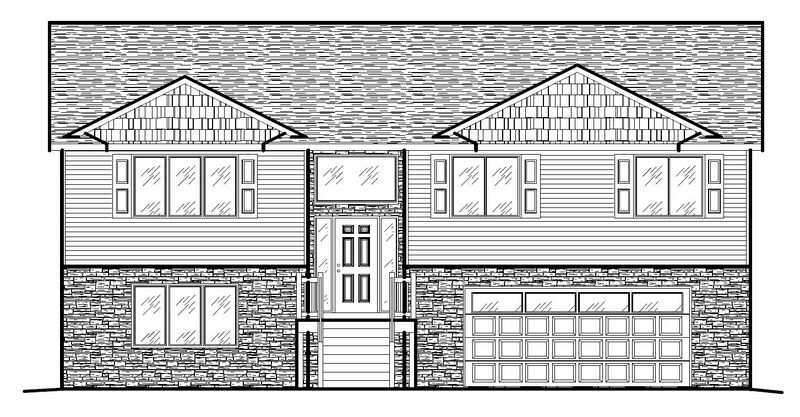 This 3 bedroom, 2 1/2 bath is sure to take your breath away! 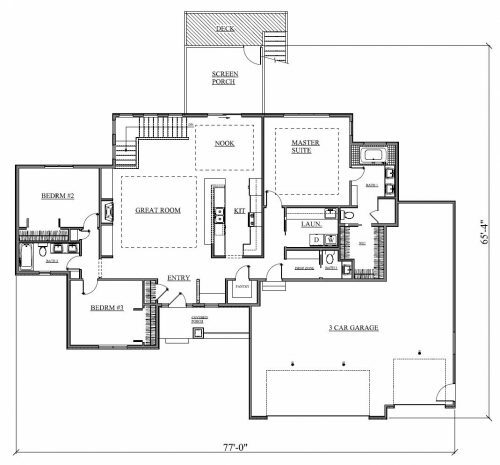 Enjoy the combined look of the kitchen, great room with fireplace and nook, and flows easily making the area look vast! The kitchen is equipped with a large walk-in pantry that adds extra kitchen storage. The master suite is tucked away in the back of the house giving a little extra privacy; it includes a master bath with his/her sinks, and a ample sized walk-in closet. 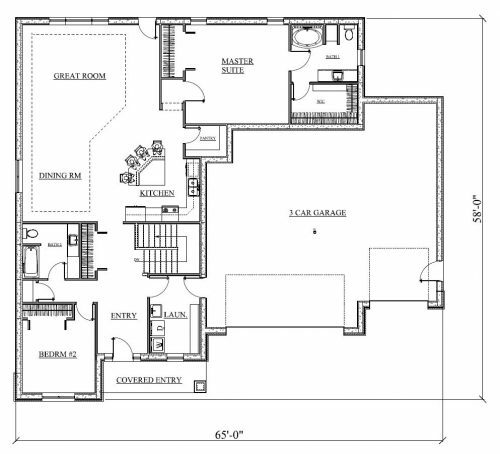 The 2 additional bedrooms are separated by another full bath making it convenient for children or guests. A main floor laundry is also a nice amenity and can be found just off of the master suite for convenience. Enjoy extra storage in your oversized 3 stall garage. 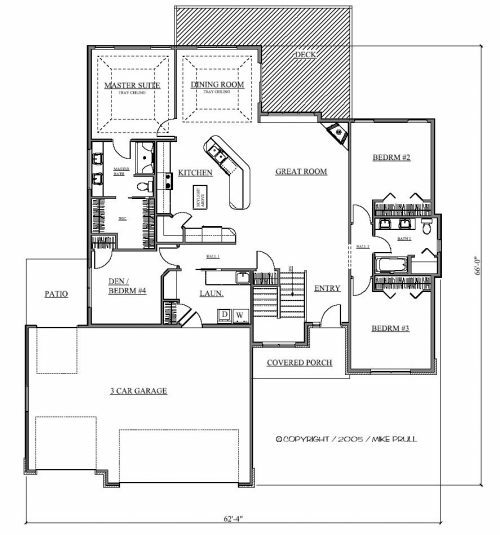 This spacious 4 bedroom custom ranch home design offers plenty of room for entertaining guests. This beautiful kitchen is wide open to a dining room and living room so your guests won’t have to be separated. Watch the changing seasons with the 3 seasons porch and covered grilling deck for year round entertaining. The laundry is room conveniently located by the bedrooms allowing you to keep all the laundry in one area. 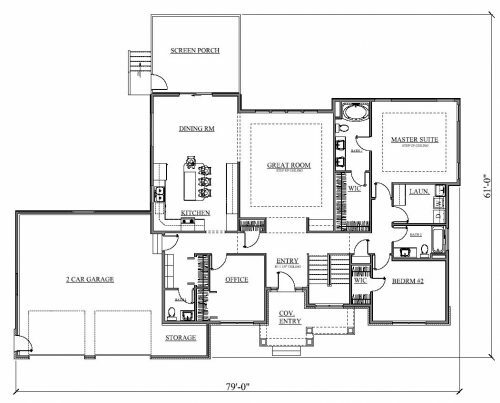 The sizable Master Suite is an area for relaxation with an attached master bath with his and her sinks, jacuzzi tub and where you will find the roomy walk in closet. Additional bedrooms make great rooms for children or guests. Escape into this 2 story, 3 bedroom very spacious castle! This house has great curb appeal with a covered front porch . Walk into a grand sized living room/great room that separates into the dining room by way of a warming fireplace. 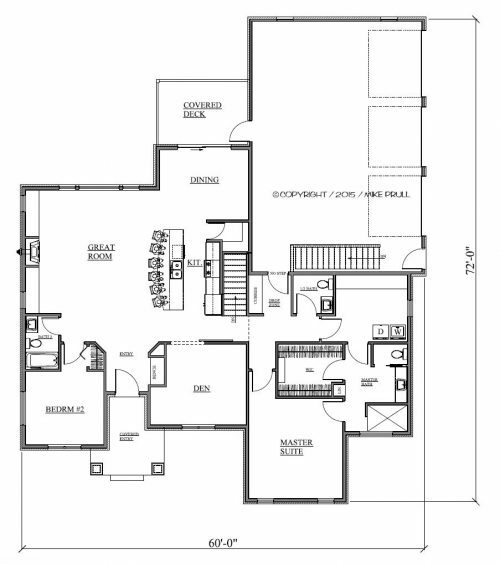 The oversized kitchen utilizes its space well with entry to the laundry and the second first floor bedroom. 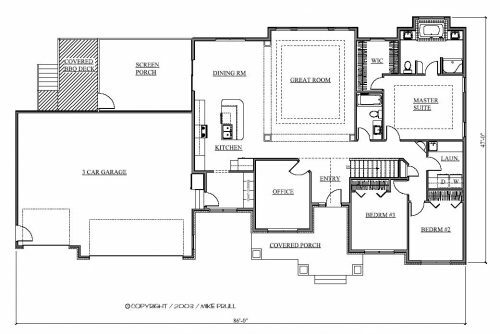 The oversized master suite also has a fireplace making it a great place to relax and read a book; the bedroom opens to his and her walk in closets and a master bath with his/her sinks, walk in shower and whirlpool tub. 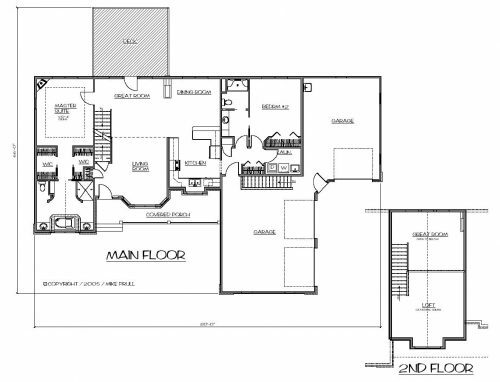 The second floor offers the third bedroom and a loft. You will have great storage with the oversized 3 stall garage. This beautiful 4 bedroom ranch is sure to fit your every need! 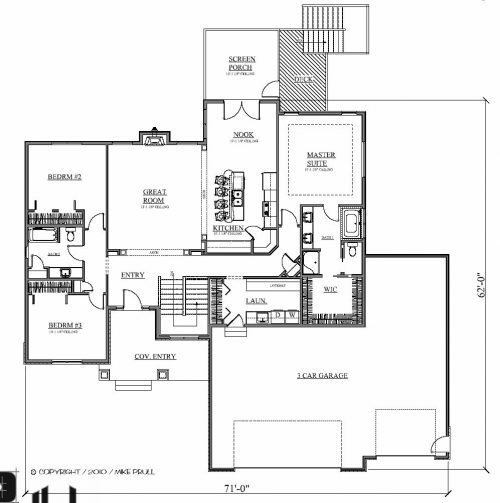 A large “L” shaped kitchen and large floating island and a large corner walk in pantry. You have a dining room opening into the deck and an open great room with fireplace to keep you cozy on a rainy day. 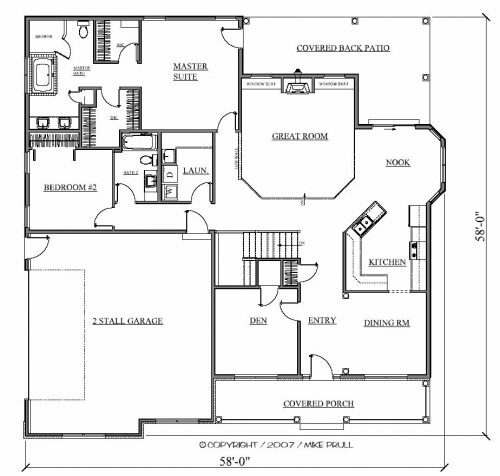 The master suite is grand and opens to the master bath and walk in closet. 2nd and 3rd bedrooms located on the opposite side of the house share a double sinked bathroom and the 4th bedroom can also be used as a den or office area. The main floor laundry also has a wash tub and counter top space for folding laundry. A 2 bedroom custom Ranch sure to fit any lifestyle! 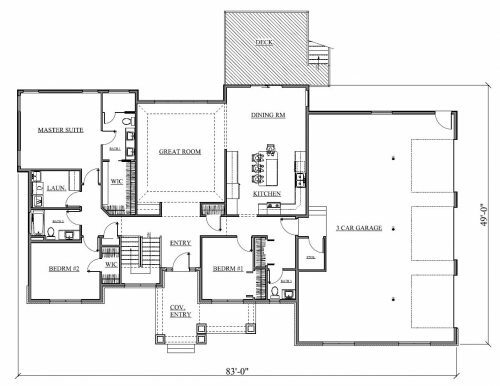 Enjoy a large open kitchen with an extra long island for additional seating, this grand kitchen opens wide into the great room and dining room for great visualization of guests while entertaining or watching over children. 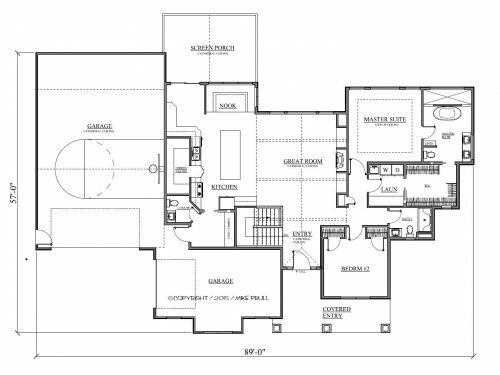 The master walk-in-closet is circularly encompassed by the master bedroom, bath and laundry room giving you easy access to all areas. A second bedroom and additional bath are also available for guests or children along with a den for after hours work or just reading a great book. A 3 stall oversized garage is great extra storage.